This CD is the fruit of six years of struggling against the part of ourselves that was born and raised dependent upon material things. After six years of distraction, in only one months time, we quit our jobs, mortgaged our house, bought a small digital recording studio setup, recorded, and produced this CD! Through much sacrifice and heartache we have recorded five of our original songs, sustained only by the grace and mercy of God. We offer this as a gift from our hearts and souls to yours. We pray that through expressing our struggles in our music we can give strength and inspiration to others who are struggling in the path of faith. Because this is our first CD we do not know what kind of response to expect so we offer our web site as a channel of dialogue for those interested. We invite you to visit our site and contact us with your thoughts on this project. It is our earnest prayer to meet other musicians and collaborate on future projects. All the beauty contained herein is from God the Most High. Only the mistakes are our own. Update: This Cd was recorded in Frankfort, KY. We have since moved to Highwood ,IL where Jeffrey is serving as the webmaster for the National Spiritual Assembly of the Baha'is of the United States. Mudd in your eye? Don't worry it will feel good. 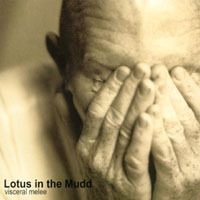 Jeffery and Jill Dalton have absolutely out done themselves in Lotus In The Mudd, Visceral Melee. The music has a pop flare and melodic entrancement that echoes of peace in your head even after you are finished listening to their CD. It is a definitive example of what religion and music can achieve, pure harmony. Absolutely stunning! We need more music of this quality. Emotionally moving and deeply spiritual. moving, sweet melodies; strong, sweet voices; powerful, sweet words, just wish I had more! Magical voice, urgent lyrics, and evocative instrumentals give shape in sound to the listener's longing for the divine. From Visceral Melee, connection. Heartfelt thanks! The spiritual connection IS behind the words and the gentle down home flavor of Kentucky bluegrasses touched my heart and let me soar. God Bless you! Thank you for making this CD and sharing your gifts (and thanks RadioNUR for the link). The songs (every one) are so beautiful, the voices, the intonation, it's amazing. I remember thinking it would be nice if the sirens in the movie "O Brother, Where Art Thou" would sing more, your songs more than fulfill that desire. My new wish is to hear more of you! Best wishes in all your efforts. Jeffrey Dalton is an inspiration. Having combined great production and singing, cd cover layout and a host of other elements, he has brought us Visceral Melee. A unique album celebrating faith and struggle and the joy of finding one's path in life. Though this album ends all too soon, you can always hit the "repeat" button. radioNUR was happy to feature this CD for an entire month, during 2002. Creative, accessible and original -- all around a great package. The beauty of the words were only exceeded by the voices, in turn exceeded by the instruments. Too short, but thank you.